Hi, Connie here with a Holiday card using the November Club Q Kit. 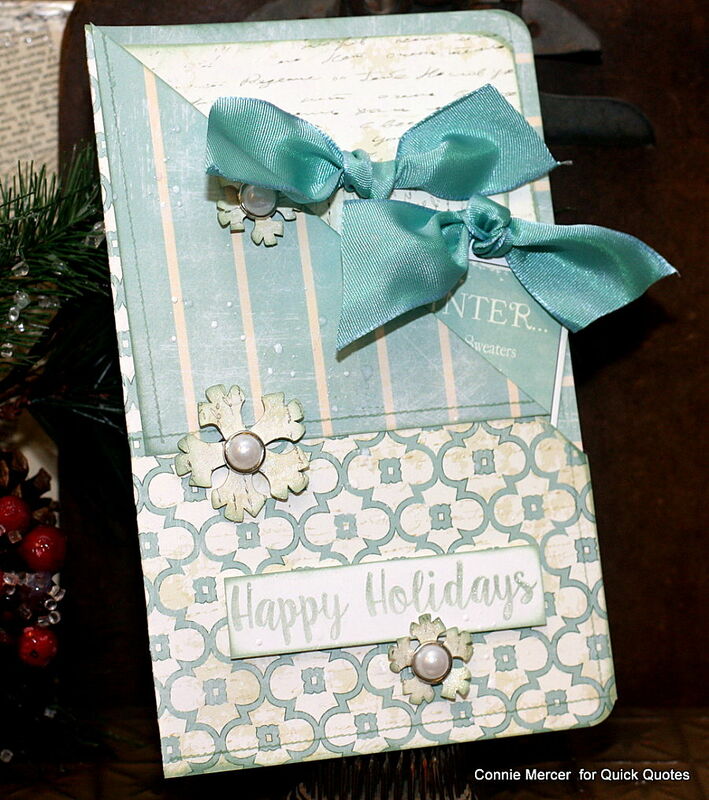 The kit is full of enough product for scrapbook pages, cards and mixed media projects. 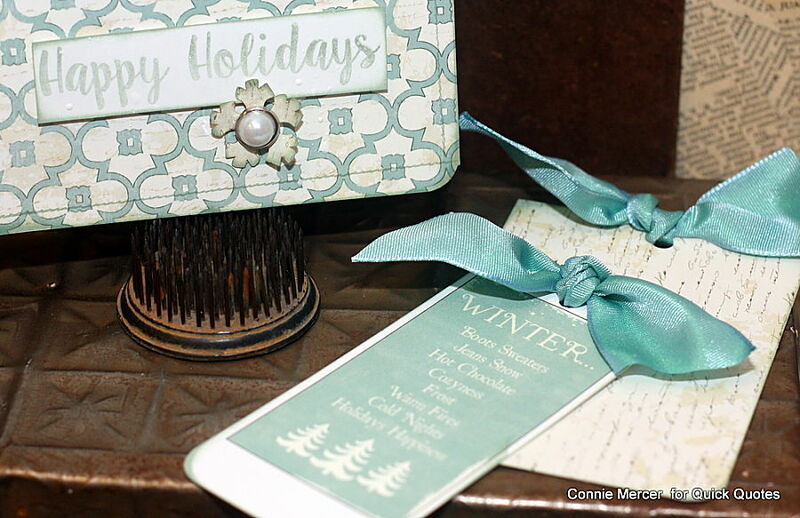 Check out this pocket card I made using the November Club Q Kit. Very easy, just fold the paper in half and then fold one side back. 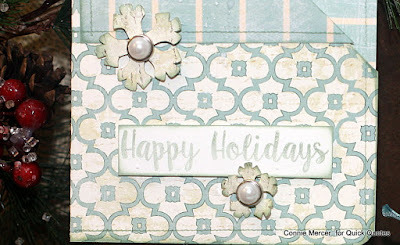 Adhere the bottom of the card and half way up to the fold on the side. Decorate and stuff with goodies!!! Shade the snowflakes with PowderPuff Chalk Ink / Seafoam . can you tell me what size this card is?